The Irish College of General Practitioners has issued family doctors with interim clinical guidelines, for doctors who wish to provide termination of pregnancy services once it is legalised. It said that GPs must have access to an ultrasound facility, if a query about the gestation period, or complications arise. The College said it had written to the Minister for Health, Simon Harris to express concerns over the lack of clarity around referral pathways to hospital care when required throughout the country. It said it had trained an initial group of GPs who will be in a position to provide termination of pregnancy services under the Health (Termination of Pregnancy) Bill 2018. The clinical guidelines set out the steps under which GPs can carry out a medical termination of pregnancy, which will be via medication for women with a pregnancy of under nine weeks' gestation. Dr Tony Cox, Medical Director for the College, said that no doctor is obliged to provide the service, if they do not wish to do so. He also said it was essential that the public know this is an opt-in service for GPs, so only those doctors who plan to provide the service will be contracted to do so. If the gestation dates are over nine weeks, the woman is referred to a relevant hospital for surgical termination. The ICGP said that the 24-hour helpline and the community supports to facilitate safe care for women, must be in place and fully operational by the 1 January deadline. 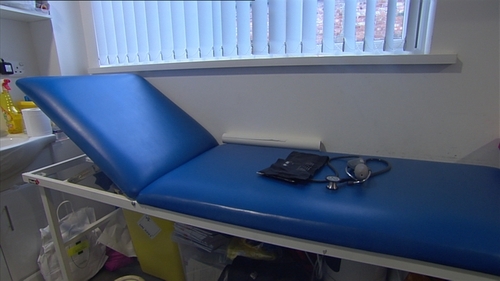 It said the helpline would serve a three-fold purpose, by providing non-directive counselling, information about GPs who have signed up to provide the service, or a triage service for advice on possible complications. The college said that the clinical guidelines are accompanied by e-learning facilities and training workshops. The ICGP said it had also highlighted the concerns of those members with conscientious objections to providing the service. A spokeswoman for the Minister for Health said he acknowledged this has been a difficult issue for the ICGP and recognised its role in drawing up the clinical guidelines. She said the HSE has advised that it has made arrangements with a primary care radiology provider to increase availability of ultrasounds. Hospitals have been asked to provide additional ultrasounds and the GP referral system to hospitals will be available this week. She said the helpline, to be called My Options, will be fully functional by 1 January and staffed by counsellors with the support of nurses. The Medical Council has yet to issue revised ethical guidelines on the issue of conscientious objection. Separately, the Institute of Obestetricians and Gynaecologists is to issue guidelines to its members dealing with hospital referrals.